This widely acclaimed textbook provides a complete introduction to the phonology of human languages ideal for readers with no prior knowledge of the subject. This skilfully written text provides a broad, yet up-to-date, introduction to phonology. 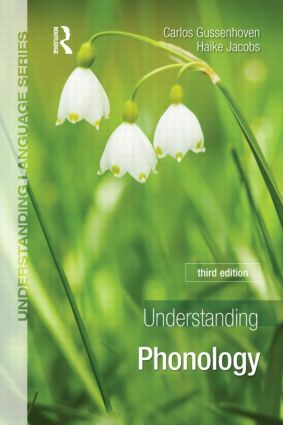 Assuming no previous knowledge of phonology or linguistic theory, the authors introduce the basic concepts and build on these progressively, discussing the main theories and illustrating key points with carefully chosen examples. A wide range of phenomena are covered: speech production, segmental contrasts, tone, quantity, prosodic structure, metrical relations and intonation. The main theories, including feature geometry and optimality theory are introduced, and their contributions to our understanding of phonology, as well as their shortcomings, are discussed objectively. This new edition has been updated and revised to meet the needs of today's students. Difficult points are given fuller explanation, references have been updated, and new exercises have been introduced to enable students to consolidate their learning.